The standalone student fee for this course will be confirmed shortly. This part-time tutored online course is designed to equip students with the skills, techniques and know-how necessary to undertake surveys of mammal and reptile populations or individuals with confidence. The course aims to create a rich workshop experience, encouraging direct student and tutor interaction and discussion. Field Techniques for Surveying Mammals and Reptiles is part of the wider Ecological Survey Techniques Programme that offers a range of standalone short courses. At its heart rests the Postgraduate Certificate in Ecological Survey Techniques, aimed at those wishing to take their professional development to the next level with an Oxford qualification. You can take this online course from anywhere in the world with a good internet connection. You can log on at any time of the day and access our specially designed course materials, e-learning resources and tutor-led discussion forums. 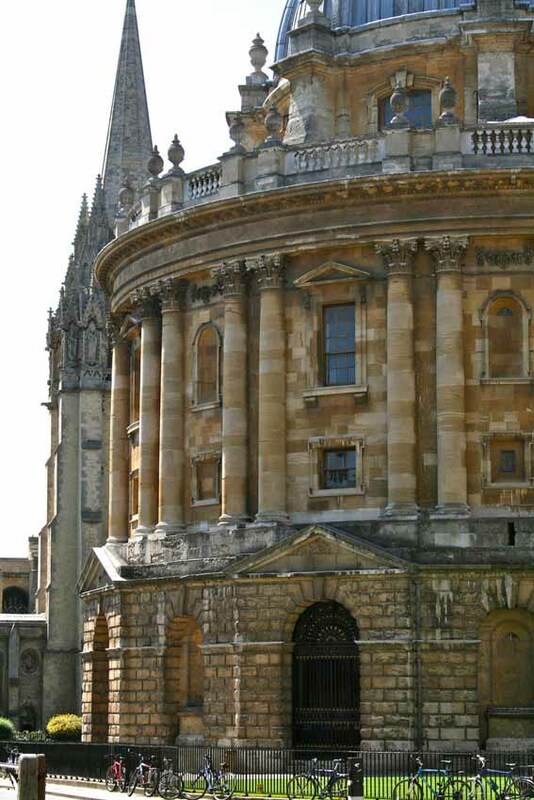 You will have access to the Bodleian Libraries’ online, which provides an excellent range of e-books and e-journals, enabling you to conduct your research and reading in your own time. The course can help you to apply for Chartered Status (such as Chartered Environmentalist and Chartered Ecologist), and to meet relevant professional competency thresholds. Further information can be found in our Chartered status and essential skills guide. Introduction to mammals and reptiles: ‘A good detective knows their mark’; what is a mammal? ; what is a reptile? Your course tutor will guide you through a series of key topics via reading materials, online activities, and discussion forums. Discussion forums are the primary space where students are able to interact with one another and their tutor to discuss questions, solve problems and share ideas just as they would expect to do in a face-to-face classroom setting. The course is designed for Master’s-level students, and you are likely to be studying alongside students on our Postgraduate Certificate in Ecological Survey Techniques. You can choose to study for academic credit or simply for the learning experience. Students taking the course for credit submit an assignment of up to 2000 words or equivalent. We offer Credit Accumulation and Transfer Scheme (CATS) points for the course. By contributing to all the forums and successfully completing the assessment you will obtain 10 CATS-equivalent points (FHEQ level 7) which may count towards a Masters-level qualification. You will also receive a University of Oxford Certificate of Attendance. For information on CATS points and credit transfer, including conversion to US academic credits and European academic credits (ECTS), please visit our CATS Points FAQ page. Students taking the course not for credit do not submit an assignment. By actively participating in at least one online course forum post per week, to the satisfaction of the course tutor, and successfully completing the course, you will receive a University of Oxford Certificate of Attendance. You may receive a Certificate of Attendance whether you opt for accredited or non-accredited study (provided that you have met the requirements stated above). This course is delivered online and uses the Department’s online assignment submission system (for the course assignment). In order to meet course requirements, students will need access to the Internet and a computer meeting our recommended minimum computer specification. Dr. Chris Newman is a Zoology Research Fellow with Oxford University’s Wildlife Conservation Research Unit. His work is highly inter-disciplinary, drawing together insights from population dynamics, animal behaviour, physiology, genetics and parasitology to better understand wildlife biology. His specialist interest is in the effects of weather conditions and climate change on ecological responses, and he has caught around 10,000 badgers as part of his long-term population studies in Wytham Woods, Oxford. Chris also serves as the Mammals Officer on the Zoology Department’s Animal Welfare and Ethical Review Board. He collaborates extensively with other researchers internationally, particularly in Asia, and is an author of over 100 peer reviewed papers and book chapters. As a former Earthwatch Principal Investigator, he is an advocate of public and corporate participation in conservation initiatives. Outside of academia he manages 350 acres of Forest Stewardship Council woodland in Nova Scotia, Canada, including 16 acres growing Haskap berries. Application/registration processing will close 4-6 weeks before the start of the course. Please contact est@conted.ox.ac.uk with any related questions. If you are applying to take this course for academic credit you will need to complete and return the following documents, alongside a copy of your CV. Please ensure you read the guidance notes before completing the application form, as any errors resulting from failure to do so may delay your application. If you do not wish to take this course for academic credit you will need to complete and return the following document, or use the enrol onlinebutton below. Please ensure you read the guidance notes before completing the application form, as any errors resulting from failure to do so may delay your application. Demonstrate an ability to work alongside fellow students and tutors as part of an online community and independently. Where requested, this should be supplied with your application. Applicants are advised to email est@conted.ox.ac.uk should they be unsure about the suitability of the referees they intend to use. Please note that we do not request submission of written work. also part of a wider programme of part-time accredited short courses available online. Subscribe to our mailing list to receive updates about these courses.